Following in the footsteps of the recently discontinued HTC Surround another original Windows Phone 7 handset, the LG Quantum, has also been given the axe from AT&T and is no longer available. It was just a couple days ago that the HTC Surround disappeared from AT&T’s website with no traces. The LG Quantum was one of the original three Windows Phone 7 handsets to launch on the nation’s second largest network in November of last year. It was the only one of the three to have a sliding QWERTY keyboard. The Quantum is a solid device with a 3.5-inch display and a 1GHz processor. On the back of the smartphone is a 5 megapixel camera that can record video in 720p HD. Like the other fallen Windows 7 originals, the end of this device only means that it will help usher in the next generation. 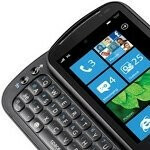 Keep an eye out for when new Windows Phone handsets such as the Samsung Focus S and the HTC Titan arrive. The focus was definitely the best choice out of all the windows phones at the beginning. This was the first WP device I ever tried out. Got the AT&T rep to activate it, and I played with it for over an hour. He said that in our area, it was the best seller of the three, which is why it was handy. It will be the answer to the "what was the first keyboard for WP" trivia question, if nothing else.